The Santiago Partnership is a charity organization based in Coshocton, OH that serves Ecuador, South America in the areas of care for at risk children as well as the medically underprivileged. The Santiago Partnership serves in collaboration with the Evangelical Covenant Church of Ecuador as well the social development branch of the church. I.P.E.E. (pronounced “E-Pay-Ay”) stands for Iglesia del Pacto Evangélico del Ecuador, which means that it is the Evangelical Covenant Church of Ecuador. I.P.E.E. was birthed in the late ‘40s by American Covenant missionaries who had come to Ecuador to help establish two schools. 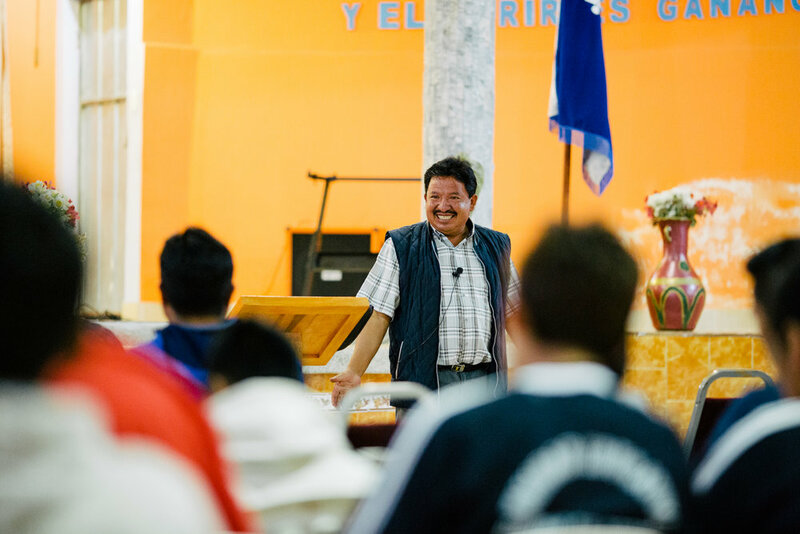 Currently, there are over 90 Covenant churches in Ecuador that are spread out throughout the country and are broken up into six districts of churches. I.P.E.E. is now legally independent from their American sister-church but still work hand-in-hand in many facets and projects. Joel and Kim are missionaries through the Evangelical Covenant Church of the United States and Canada and are serving Ecuador by invitation of I.P.E.E. The Evangelical Covenant Church (ECC) is an evangelical Christian denomination of more than 800 congregations and an average worship attendance of 178,000 people in the United States and Canada with ministries on five continents. Founded in 1885 by Swedish immigrants, the church is now one of the most rapidly growing and multi-ethnic denominations in North America. Historically Lutheran in theology and background, it is now a broadly evangelical denomination. This is the denomination that Joel and Kim serve as missionaries. Coshocton Christian Tabernacle (CCT) is our "host" church as they provide the office space for the Santiago Partnership as well as help us with our accounting and financial accountability. Before we received our 501c3 tax-exempt status from the IRS, they served as our Fiscal Sponsor so we could still give tax deductible receipts for donations to our ministry. Coshocton Christian Tabernacle is a non-denominational, evangelical Christian church which was founded in 1981 and located in Coshocton, OH. Their purposes are "to spend time together in God's presence through worship," "sharing fellowship with one another," "spreading the gospel of Jesus Christ through evangelism," "serving one another and our community through ministry" and "spiritual growth through prayer and the study of God's word." Our home and clinic are in Cayambe and in partnership with the Covenant church called Iglesia Emanuel or Immanuel Church in English. I.P.E.E. decided that this church would be a good fit as the first ministry site because they themselves had a vision for a medical ministry in the future. Around the same time that Joel and Kim were getting married and moving to Chicago to begin their education in preparation for overseas ministry, Pastor Jose and Iglesia Emanuel were also dreaming and planning to build a clinic by which the church can minster to the community around it. In the end, they decided to build the clinic on faith that someone would come to serve as the medical expertise for that clinic. They built the clinic which is now our functioning clinic in Cayambe, Ecuador. Pastor Jose is the pastor of Iglesia Emanuel, the local church that the Santiago Partnership serves alongside in ministry. He has been serving his congregation for 17 years and has been the church’s only pastor. He is married to his wife Magdalena and has three grown children, Priscila, Alex and Glenda. Pastor Jose leads with vision for Iglesia Emanuel as he has seen his little congregation start a ministry with Compassion International that now serves over 700 children weekly as well as he had the vision for the Medical Clinic, which was the reason why the Santiago Partnership came to Cayambe. In addition to pastoring, he successfully runs businesses in construction, carpentry, and metal working and he also owns a hotel and cafeteria. F.A.C.E (pronounced “Fah-Say”) stands for Fundación Adelanto Comunitario Ecuatoriano, which means the Foundation for Ecuadorian Community Advancement. Basically, F.A.C.E. is the branch of I.P.E.E. which executes Christian social projects throughout the country. It actually is an independent organization in that it has its own legal non-profit status though I.P.E.E. is its umbrella organization. F.A.C.E. is greatly respected by the Ecuadorian government and many people around the country for the many projects it has executed in its over 40 years of existence, which include projects in the areas of disaster relief, health, agriculture, education, and community development. Everything that the Santiago Partnership accomplishes will be deemed a F.A.C.E. project in Ecuador that is being accomplished in the name of Jesus Christ and the Covenant church. Rolando Escola is the project coordinator with FACE for the Santiago Partnership. In addition to serving as our project coordinator, Rolando also holds the significant responsibility of being the President of FACE. He holds a Bachelors in Engineering in Business Administration. Rolando is married to his wife Diana and they have two children, Jonathan and Denise and live in Cayambe. In sharing about his new role, Rolando notes, "Within this process, my personal vision is to serve, not be served, therefore the idea is to foster the work to be done with the mindset of being an instrument of God to bless our neighbor, making a well thought-out and appropriate use of our resources."